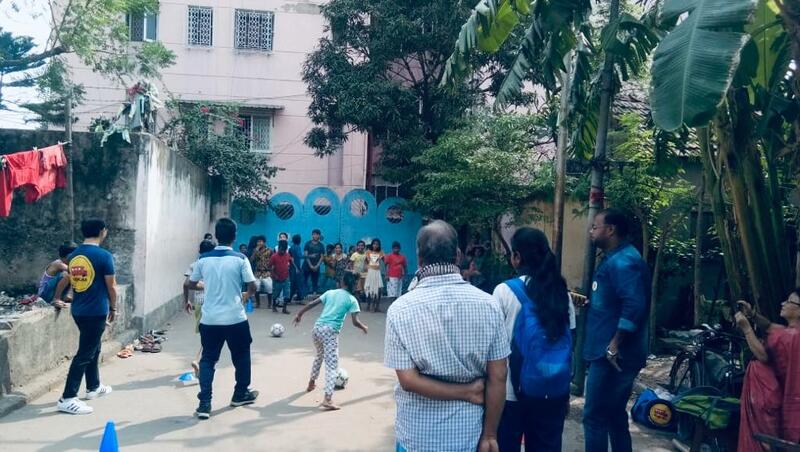 Today I visited the Panchantala cluster located in the Dhakuria community of Kolkata. 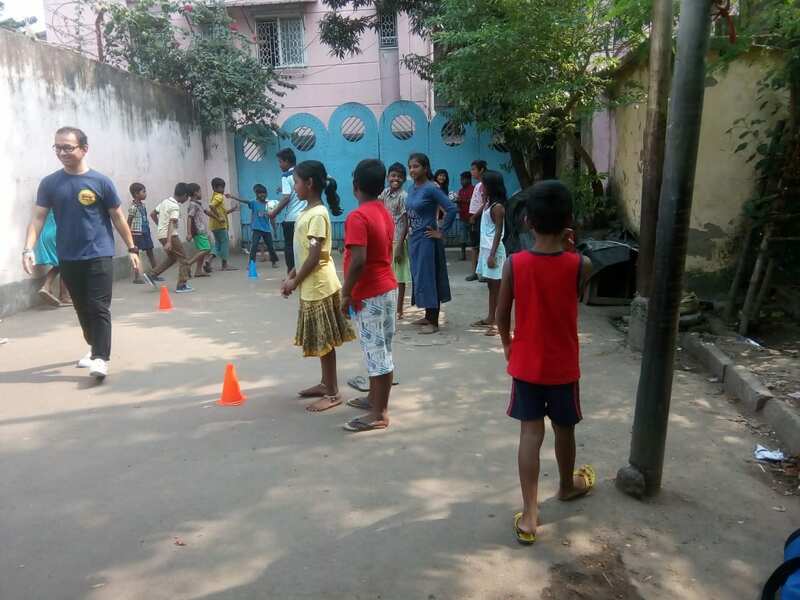 It is in this community where Magic Bus runs a Manchester City’s Cityzens Giving project. Today’s session was facilitated by the Community Youth Leader, Abhishek and Youth Mentor Sneha. 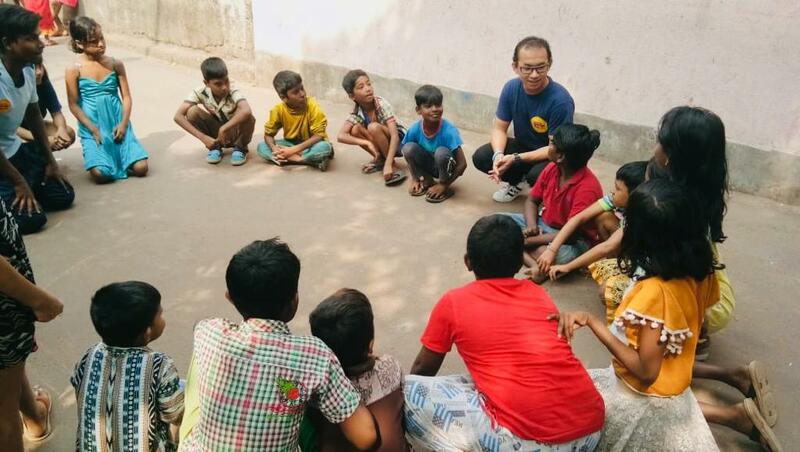 The session had about 25 children of about 16 boys and 9 girls, in a session focused on social skills and emotional development. During the course of the hour, many things got embedded in my mind. The boys and girls playing together without any hesitation and with no disrespect or any stereotypes in their mind, in a community where the session occurs on the road in front of an apartment building. During the session, a few parents came over and asked their kids to come home for lunch. But they went away with the main message of the session firmly in their minds. The whole community is so open, understanding how these sessions have made a huge impact amongst their children. I asked what lessons they had learned from Magic Bus that they used in their daily lives, and I was told it would take too long, as so many lessons relate to their lives. Most importantly, all these kids are enrolled in schools and they all stay in school. Such a huge impact considering so many would have chosen instead child labourers had Magic Bus not intervened. There are hundreds of Magic Bus programmes, just like this one, all across India, achieving the same amazing impact. Please donate today to support these programmes and help more children find the path out of poverty.